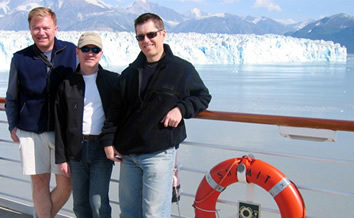 Join Pied Piper Travel on our annual gay group cruise to the last frontier, Alaska ! 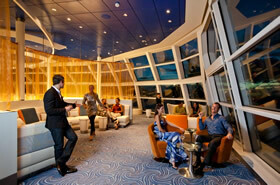 A cruise is the best way to see Alaska's untouched natural beauty. 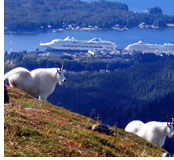 Your Pied Piper cruise features magnificent glaciers and mountain tops, unique wildlife like bald eagles and humpback whales as well as early Russian and Native American culture. 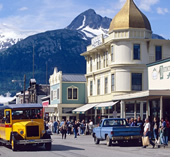 Along the way you'll visit interesting ports such as the gold rush town of Skagway, Alaska's capital city Juneau and Ketchikan, the salmon capital of the world. 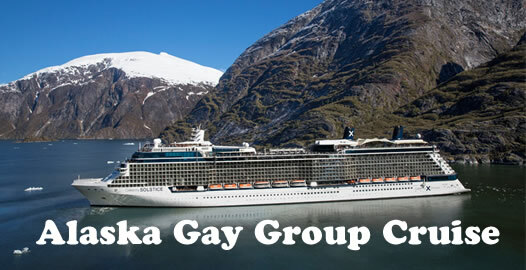 Annual gay group cruise to Alaska , the nation's last unspoiled area! 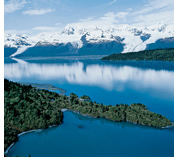 Beautiful wilderness, wild animals, breathtaking glaciers, and incredible scenery! 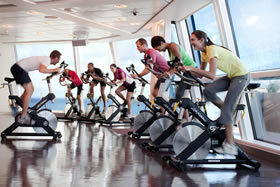 This is like no other itinerary we offer and could be the vacation of a lifetime! 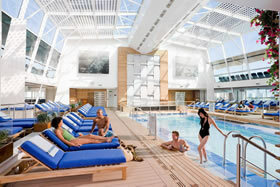 In 2019 join us on a seven-day cruise, we'll sail roundtrip from Seattle on the exciting new ship, Celebrity Solstice ! 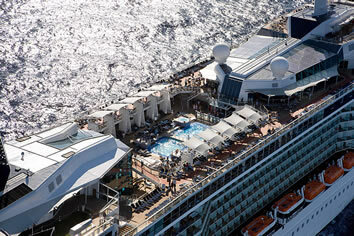 Celebrity Cruises' largest vessel, the Celebrity Solstice , made her grand debut in winter 2008, offering many genuine cruise industry firsts. 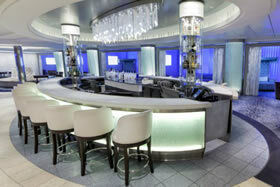 Celebrity Solstice is to be the next grand addition to the Celebrity Cruises fleet. 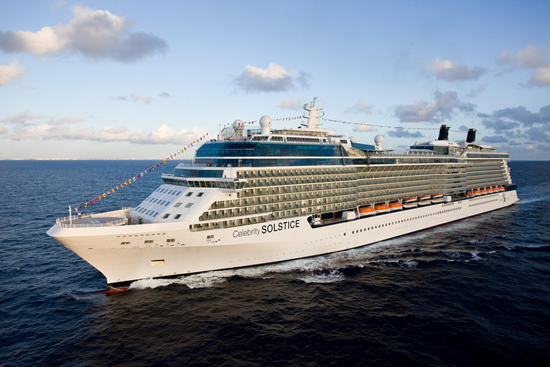 And it was to be the first of four Solstice-class ships, weighing a mighty 122,000 tonnes with a capacity of 2,852 passengers. 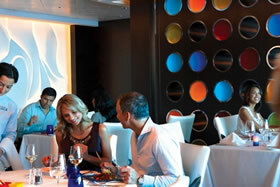 Aboard Solstice , you'll find unlimited opportunities to indulge your interests. 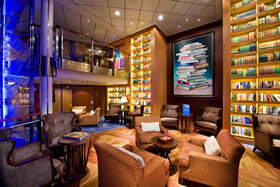 Attend an informative onboard lecture, discover unique treasures in our upscale boutiques or test your love for competition. 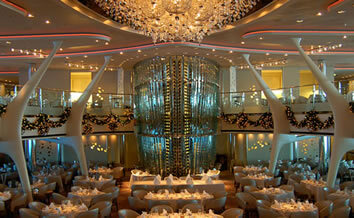 Collect fine pieces of art during an onboard auction. Glimpse the future of aviation technology at the Future of Flight Aviation Center and Boeing Tour. See the latest breakthroughs in in-flight entertainment and design your very own aircraft using high-tech aviation software. Travel a few short minutes to the Boeing factory where you'll go behind the massive hanger doors to witness the inner workings of the world's largest airplanes. Known as the "Salmon Capital of the World," Ketchikan is also the ancestral home of the Tlingit people, who have carved the world's largest collection of totem poles. The name comes from the Tlingit phrase "katch kanna," which roughly translated means "spread wings of a thundering eagle," a tribute to the hundreds of eagles that nest in the mountain forests above this small outpost. 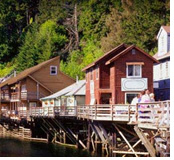 Located near the southernmost tip of Alaska's panhandle, Ketchikan was originally a Tlingit Indian village (pronounced klink-it). In the late 1800s pioneers came here and established a fishing, salting and canning operation which exported their production down to Oregon. From this small beginning a town grew. During the gold rush the town expanded and was able to survive by logging and fishing when the mines played out. The logging industry is gone for the most part but, together with tourism, commercial and sport fishing continues to play a vital role in the economy of Ketchikan. The Ketchikan's Museum and Library is home to an interesting collection of old photographs, Indian artifacts and pioneer era tools, weapons and implements. Ketchikan Creek and Waterfall is in the center of town, close to the library. Visitors can see the salmon runs which helped to make Ketchikan what it is today. The site offers great views of the town. Creek Street is a boardwalk built on pilings over Ketchikan Creek. This is the historic "red-light" district of town. There are numerous museums, colorfully painted boutiques, attractions and frontier era homes which give visitors a feel for what life was like in years past. The Deer Mountain Hatchery helps to maintain the regions salmon and trout stock. Visitors have the opportunity to learn about this amazing and delicious fish which, from the beginning, has been so important to the culture and economy of Alaska. The Ketchikan Totem Heritage Center helps to maintain the cultural traditions of the Tlingit Tribe. The authentic totem poles are some of the many which combine to make the collection in Ketchikan on of the largest in Alaska. Tracy Arm is a fjord in Alaska near Juneau. 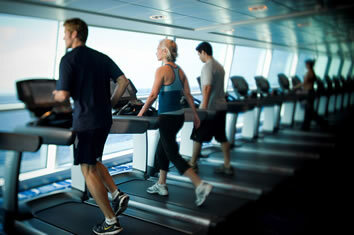 It is named after a Civil War general named Benjamin Franklin Tracy. It is located about 45 miles (72 km) south of Juneau and 70 miles (110 km) north of Petersburg, Alaska, off of Holkham Bay and adjacent to Stephens Passage within the Tongass National Forest. 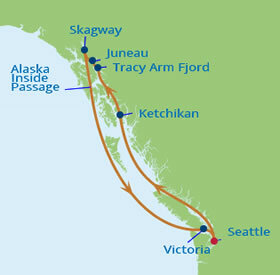 Tracy Arm is the heart of the Tracy Arm-Fords Terror Wilderness, designated by the United States Congress in 1980. 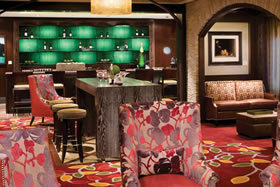 Alaska's capital city gracefully balances frontier ruggedness and cosmopolitan flair. 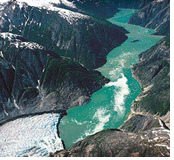 Mendenhall Glacier, a river of ice measuring 1.5miles in width and over 6 miles in length, hugs Juneau's northside and is part of the Juneau Icefield, a 1,500-square-mile ice field that feeds 38 large glaciers. Located on the Gastineau Channel and surrounded by glacier-capped mountains rising thousands of feet, the city of Juneau is the state capital. 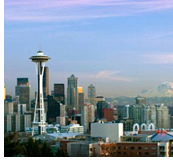 The area has been inhabited for thousands of years by the native cultures of the Tlingit, Haida and Tsimshian people. This was the first town founded after Alaska was purchased from Russia by the United States. 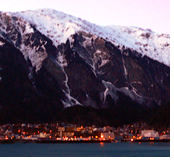 Serving as the capital of Alaska since 1906, Juneau is still only accessible by sea or air. 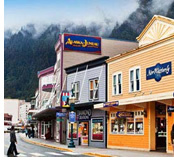 For a population of just over 30,000, Juneau is culturally, politically and socially active. The Native tribes, rich with the artistic traditions, have had a profound influence on the development of the city. With dozens of dazzling art galleries, high end boutiques, inviting restaurants and unparalleled scenic landscape and wildlife, there is always something exciting to do in Juneau. The Last Chance Mining Museum and Historical Park dates from the days of the historic Alaska Juneau gold mine. It has been restored and features the world's largest air compressor, mining tools, a unique glass map, remains of the railroad lines and underground exhibits. The Juneau-Douglas City Museum displays artwork, historic photographs, and films as well as authentic artifacts from the early miners and pioneers. 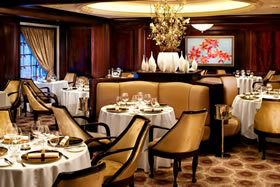 Cruising through the Inside Passage is really what has made Alaska cruising so popular. This trip captures so much of what people love about Alaska. There are glaciers the size of Rhode Island. Misty rain forests and ghostly blue fjords. And spirited communities that celebrate their varied heritage. Be sure to take in every view as you sail through one of the most beautiful parts of Alaska. The highlight of any cruise through the Inside Passage has to be Hubbard Glacier. It is one of the most active glaciers in the area and a great place to experience the majesty of a glacier up close. Sheets of ice separate themselves from the ice field in a process known as "galloping." When the ice finally crashes into the sea, you can hear a loud cracking sound, similar to a starter pistol. This process is known as "calving," and the sound echoes for miles. When gold was discovered in the Klondike in 1896, Skagway town was gripped by a serious epidemic of Gold Fever, one that attracted all manner of fortune hunters, saloon owners and adventurers. Now the only prospecting is done by visitors looking to take home a souvenir nugget or two. Now a beautiful and popular borough located on the Alaska panhandle, Skagway was once little more than a small and lawless settlement. All quickly changed when gold was discovered in the Klondike region of the Yukon Territory. Thousands of dreamers in search of riches soon made their way to the community. From July to October 1897 the area had grown from a disheveled collection of tents into a town with well laid out streets, buildings, stores, saloons, gambling and dance houses, and a population of approximately 20,000. Skagway is the smallest borough in Alaska and is located in a narrow glaciated valley at the head of the Taiya Inlet, the northernmost fjord on Alaska's Inside Passage. Surrounded by snowcapped mountains, glistening glaciers and the beautiful Alaskan sea, Skagway is worth visiting for its breathtaking geography alone. The White Pass & Yukon Railroad was built in 1898 during the Klondike gold rush. 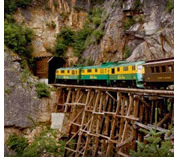 The railway is now open to visitors and travels along a stunningly scenic route up into the mountains. The Skagway Museum is home to a wonderful collection of photographs and artifacts which date back to the late 1800s. At this time the town was a bustling port of entry and gateway to the famous goldfields of Alaska. The museum also displays an interesting assortment of historic arts and crafts which exemplify the rich cultural heritage of Native Alaskans. Jewell Gardens is filled of organic flowers and vegetables. The beautiful garden also has its own glassblowing studio. 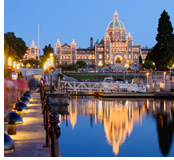 Victoria - the capital of British Columbia is located on Canada's largest island, Vancouver Island. 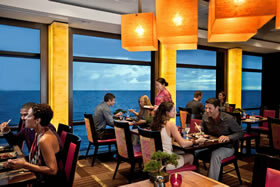 This seaside enclave and one time British colony has retained much of its colonial splendor. And thanks to a temperate climate, Victoria blooms with color during the spring and summer months. 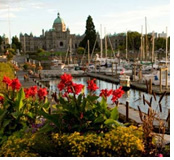 On the southern tip of Vancouver Island, British Columbia and accessible from the Pacific Ocean thru the Strait of Juan de Fuca, visitors will find the elegant and exciting port city of Victoria. The indigenous Songhees People lived in this coastal region for millennia prior to the arrival of Spanish and English explorers in the late 1700s. In 1843 James Douglas, a British fur trader with the Hudson's Bay Company built the original fort and trading post named for Queen Victoria and around which the city grew. And growth came quickly, some would even say over night. During what would become known as the Frasier Canyon Gold Rush in 1858, Victoria turned from a relatively quiet trading post into a bustling port and gateway into the Canadian interior of British Columbia. Victoria has rarely looked back since. Today Victoria, having come from such humble beginnings, has earned the reputation of being one of the most beautifully livable cities in all of Canada. The Fairmont Empress Hotel is the Grand Dame of Victoria. 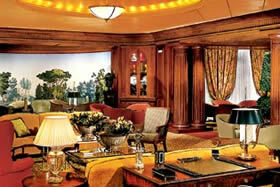 Elegant, sophisticated and dignified, this century old hotel has played hostess to Royalty and celebrities. 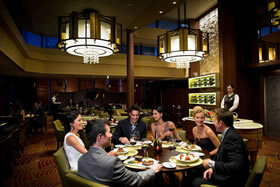 Traditional afternoon tea is served daily and continues to be popular with visitors from around the world. The Victoria Ale Trail is a select group of English and Canadian style pubs and microbreweries. Scattered throughout downtown these establishments brew and serve some wonderful local beers and ales. Chinatown is the second oldest in North America. The 1858 gold rush and the building of the Canadian Pacific Railway prompted a great number of Chinese to immigrate to Victoria. Today the Gate of Harmonious Interest welcomes visitors to the historic area filled with the colors, architecture, and foods of a people who contributed much to the growth of this beautiful city. Antique Row is Victoria's wonderful collection of antique shops. 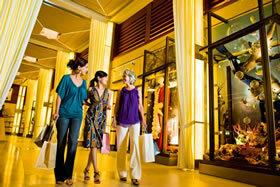 This is a great place to stroll and browse. 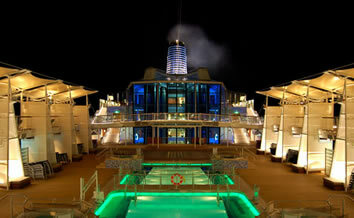 28 Aug A Day at Sea! 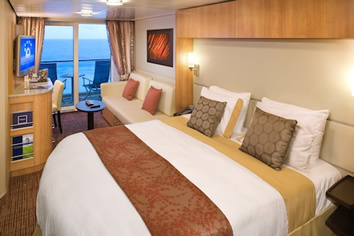 Taxes of $216.51 pp, optional travel insurance, and gratuities are additional. 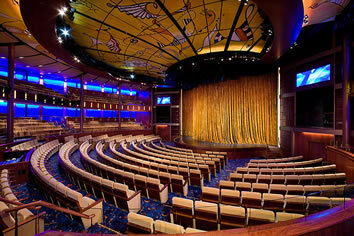 First deposit of $250.00 per person is required upon booking.